You’ve heard the saying, “Don’t sweat the small stuff”?? The thought behind that is that we often get caught up in the minor details of life. We allow little annoyances or even worries about what might happen take center-stage in our hearts and minds and lose sight of the big picture. In a spiritual context, we let our eyes settle in on the temporary trappings of life and fail to trust the Lord who sees life from the perspective of eternity. Sweating the small stuff frequently traps my heart. Whether it is an unplanned interruption to my schedule for the day or a child who spills a glass of milk for the umpteenth time…even the frustration of another round of colds or flu in the house…I mean, really, it’s all small stuff! This week it occurred to me that the opposite saying is equally true. Just as we don’t want to dwell on the small frustrations of life in a fallen world, we also need to be wary of glossing over the small blessings of a God who cares! 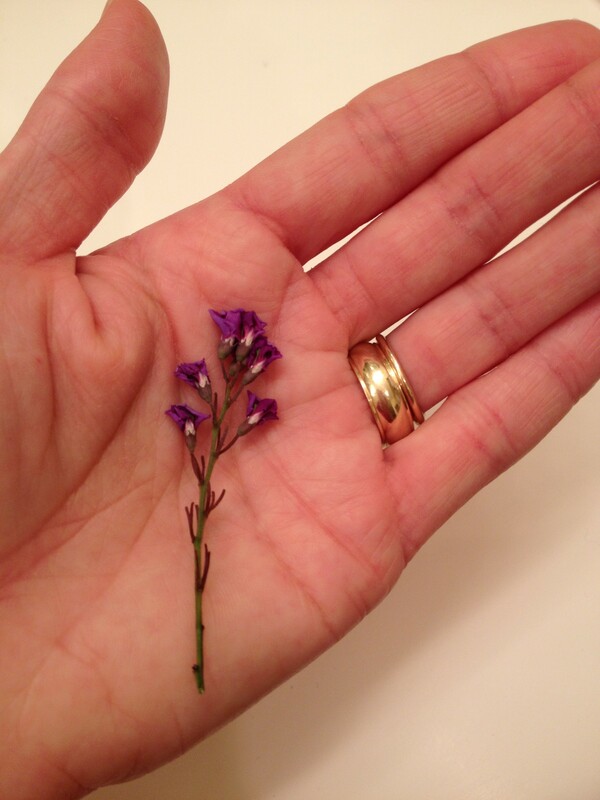 After church on Sunday, my daughter, Lucy, greeted me with a tiny stem of flowers. The whole bunch was no more than 2 inches tall! It was a scene that has been repeated countless times in Lucy’s short 5 years of life, and I was just about to respond as I usually do: a glance and smile in Lucy’s direction as I quickly thanked her and shoved the flower in my pocket, hoping I would remember to toss it in the trash before my pants ended up in the washing machine! But in that little moment, God whispered to my heart. 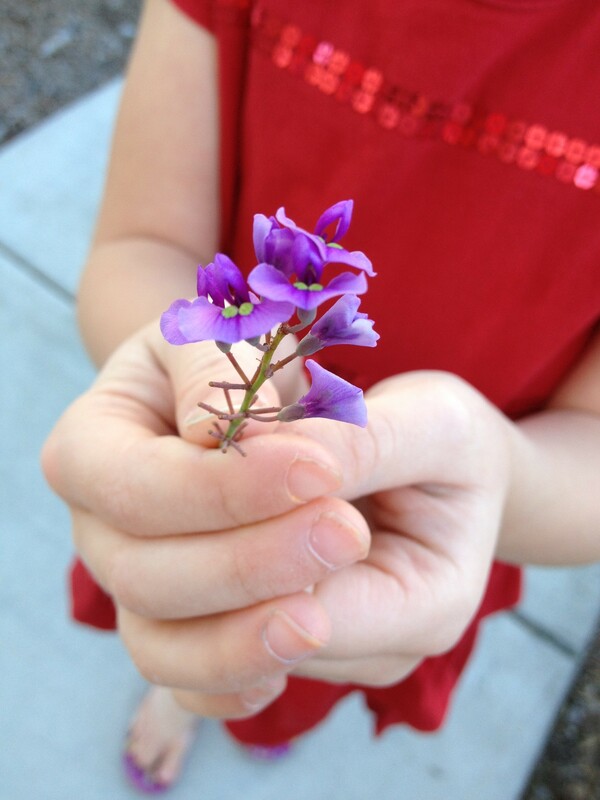 Someday she’ll stop picking flowers for you and you’ll miss it! Someday she, like you, will rush past the flowers in her busyness. Someday she, like you, will know that the flowers, once picked, will whither and die in a matter of hours. She, like you, will deem flower-picking to be a pointless pastime. Sniff! It was as bad as those old Hallmark card commercials from the 80’s. An instant tear appeared in my eye as I grabbed Lucy and gave her a giant squeeze and held her face in front of mine. I wanted to remember that moment! I wanted to appreciate the big heart behind that little flower. Don’t miss the small stuff. It’s nothing you haven’t heard before in one form or another. But we all need reminders. I’m thankful for my little reminder this week. Even if it is already wilted! This one has been spared from the washing machine! What little blessings have you been brushing past this week? Maybe it’s a sunset you’ve “seen before”? Maybe it’s a friend you’ve come to take for granted? Maybe it’s the pile of bills and receipts your spouse so faithfully manages to pay and keep an accounting for? 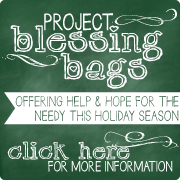 Leave us a comment and let us know what small blessing you aren’t going to miss this week! Come see Throne of Grace next week! 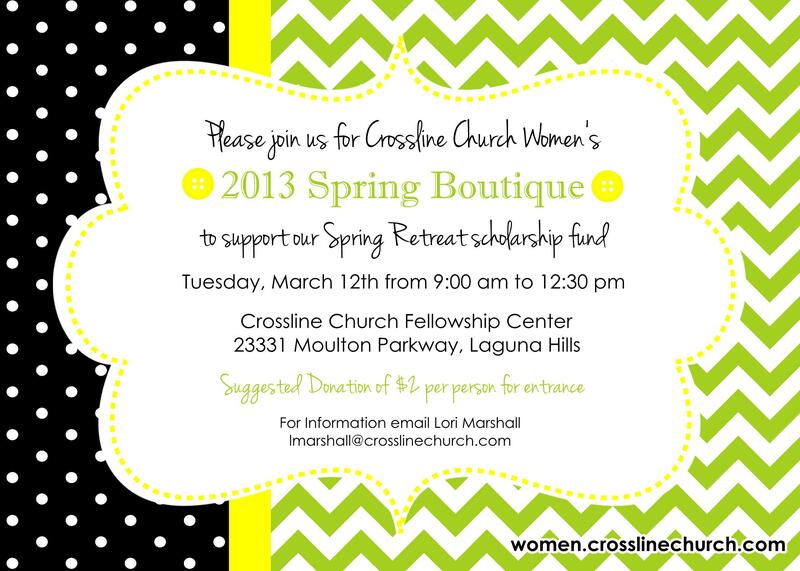 We’ll be at the Crossline Church Spring Boutique and if you are in the southern California area, we’d love to see you!